In the quiet Chicago suburb of Winnetka, there are many “helpers” at work in the New Trier High School arts community guiding the next generation toward healthy outlets of expression, proactive ways to cope with discomfort, and an affirming reverence of life. One of these “helpers” is Johannah Wininsky, who was named SHAPE America Dance Education Teacher of the Year. For the past 12 years, Wininsky has taught alongside her dedicated colleagues in the New Trier Dance Division (NTDD), which has had a long tradition of artistry in dance performance since its inception in the 1960s by Margaret H’Doubler mentee Suzanne Wente. Host to notable alums such as the influential dance artist Anna Halprin and musical theater star Ann-Margaret, the NTDD not only cultivates students’ somatic awareness and creativity, as well as the host of other benefits offered by dance education, but also their ability to critically self-reflect and empathize with others. In Wininsky’s Dance Lab 2 course, designed for senior students with a sustained record of artistic potential, this crucial skill set is developed by way of choreographic investigation. For instance, Wininsky challenged her students to create original choreography through an Authentic Movement practice, a concept pioneered by Mary Whitehouse, Joan Chodorow, and Janet Adler. Authentic Movement encourages inward contemplation and an outward empathetic response by pairing a mover and a witness together in an exploratory improvisation. In this method, the mover dances intuitively with closed eyes and practices being vulnerably seen, while the witness practices seeing and relating to another’s experience. Awareness of the phenomenon encouraged in this practice, known as kinesthetic empathy, has expanded as a result of advances in cognitive science. Dance scholar Susan Leigh Foster, in her paper and lecture/demonstration, Kinesthetic Empathies and the Politics of Compassion, maintains that while viewer interpretations are always culturally specific, they are also dependent on the dancing body’s unique capacity to spark reciprocal emotional mimicry. This aspect of dance allows it to transcend social barriers and promote innate human connection. 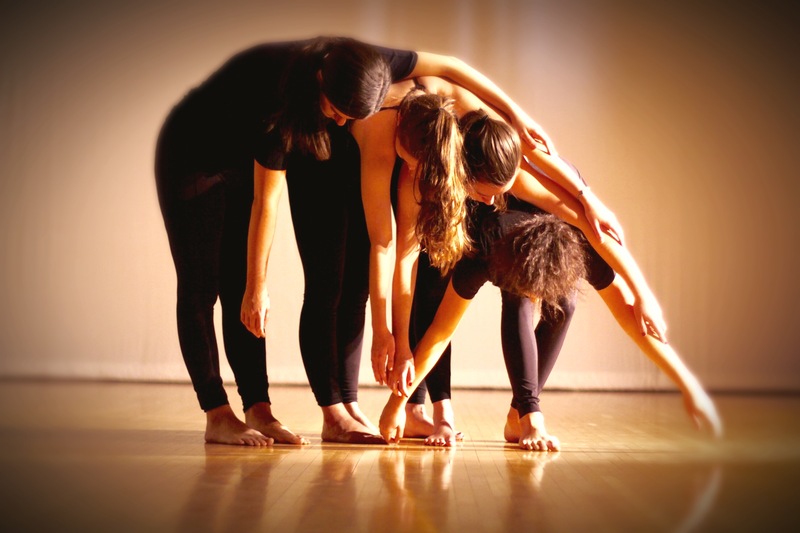 Through Authentic Movement as well as other methods, the Dance Lab students embarked on a semester-long, process-based collaboration that fostered the bonding and camaraderie essential to one’s wellbeing and sense of belonging. The semester culminated with the creation of an evening-length performance that dynamically combines each of the twenty-six students’ diverse choreography set to a sound score edited and crafted by NTDD musician and Mucca Pazza percussionist Brent Roman. For three years running, the Dance Lab students have taken their showcase off campus and into the Chicago community to undergo the educational experience of presenting and producing a professional dance concert, including contracting the venue and marketing the event. The longstanding impact of this course on its participants is apparent by their consistent return as audience members. As the school year winds down and graduation ceremonies abound, it is a fitting time to reflect and remember the important role that the arts play in the lives of many high school students like Lockwood who are searching for their “place” and recognize the value of programs, such as the NTDD, that help them find it. The NTHS Dance Lab 2 Showcase will be at the Vittum Theater, 1012 N. Noble St., Chicago, on June 8 at 7:30 p.m. Tickets are $7, available online at www.vittumtheater.org, by calling 773-342-4141, or at the door.